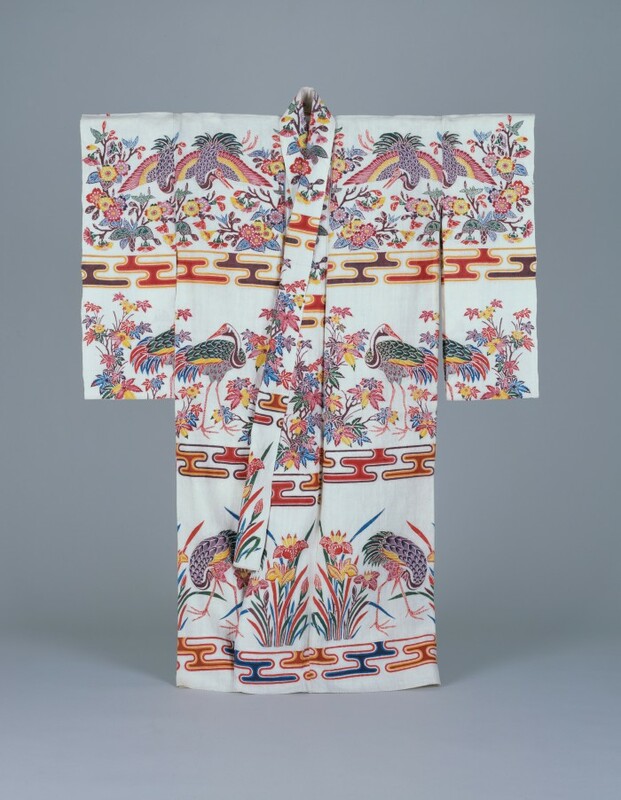 A length of this costume was divided into 3 parts by KASUMIDAN pattern on a white ramie cloth. 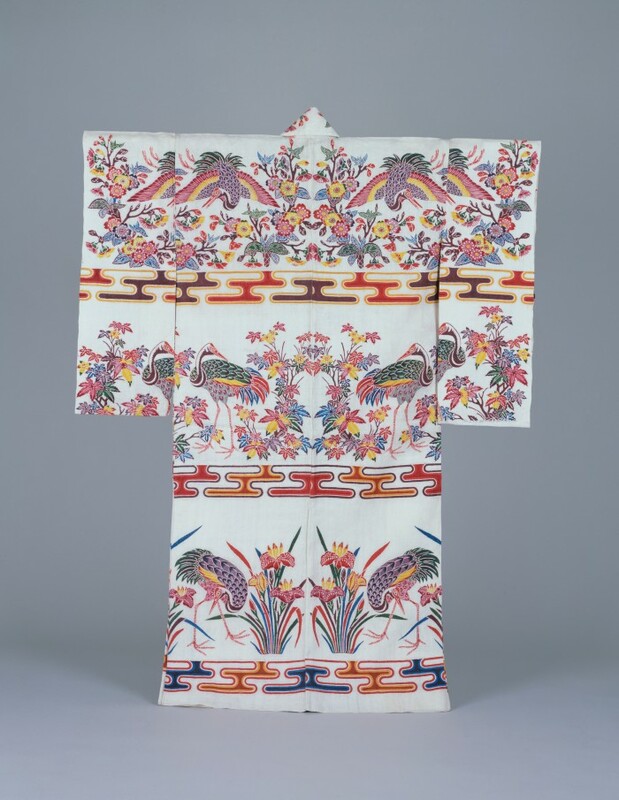 Crane, cherry blossom, maple leaf, sweet flag patterns were placed in different combinations on each part. 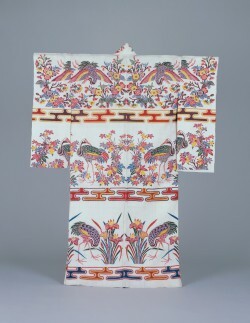 The patterns of flowers and trees in different season were drawn in a costume, and the combination features the characteristic of BINGATA that no reference to season. 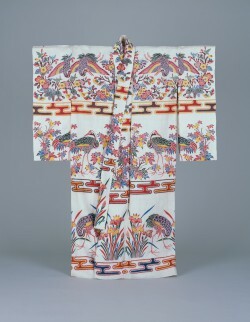 A technique called RYOMENZOME (two-sided dyeing) was used to dye this costume.